on an ordinary wednesday, i'd be heading over to the broiler. but nooooo, it's still raining here. not this instant, but soon enough i know it ain't worth the drive over there. oh well, i'll just play with my cars now. 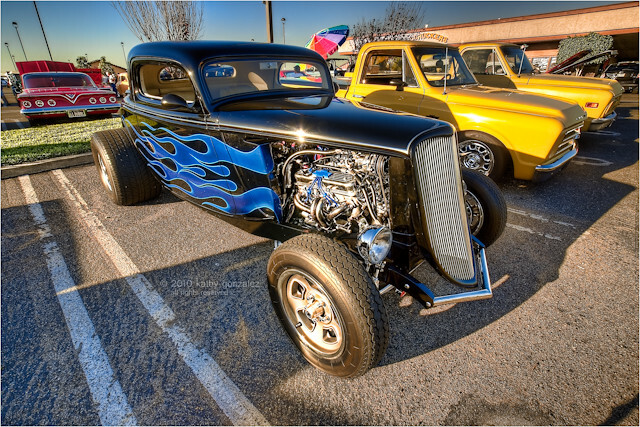 i think this is a ‘34 ford, but i'm not betting on it. i've seen it several times before, but never really liked the shots i was getting. while it's still wedged between other cars, i got most of it before the sun sunk too low and cast a shadow across it.